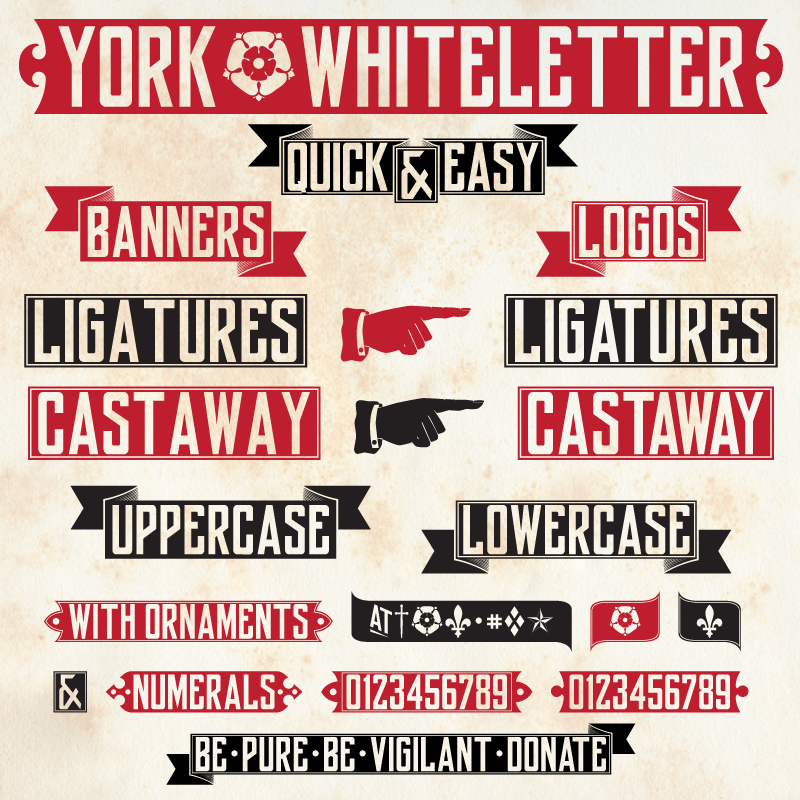 York Whiteletter is designed for making quick and easy banners and logos. Inspired by a Delittle design called ‘Eboracum №3 Improved White Letter Type’ and late 18th century woodtype. York Whiteletter can be used monospaced, but I decided to include ligatures to improve the fit of common kern pairs. Numerous ends and ornaments are included. 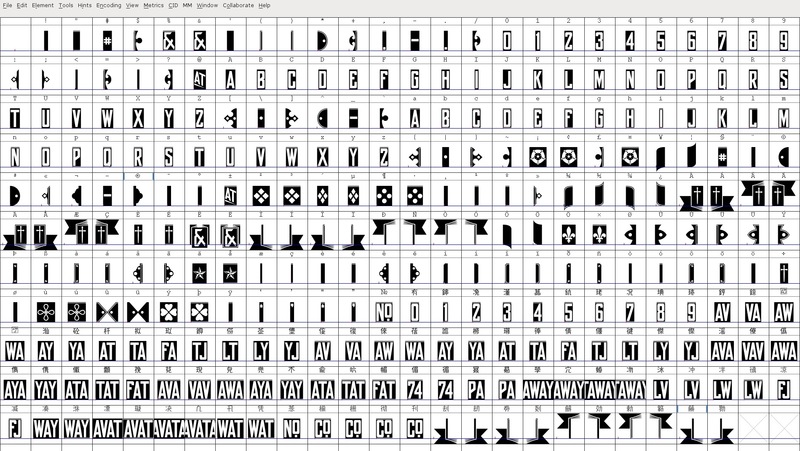 Enable Ligatures and use the Glyphs Palette or Character Map to add end pieces and ornaments (see your apps/OS documentation on how to insert ‘special characters’ and enable ligatures in a font). 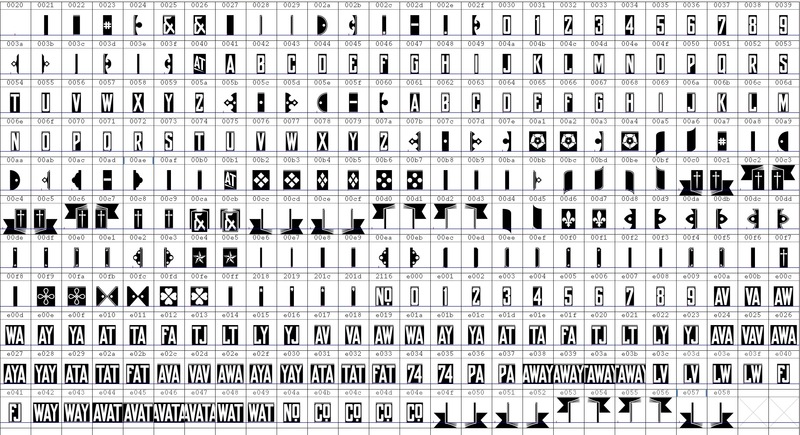 Glyph maps included in the zip file showing both glyph image and Unicode. York Whiteletter is served free for personal use and ‘as is’ . If you like York Whiteletter, please feel free to make a ‘domestic brew’ sized donation to the ‘buy the author a beer fund’ using the donate button. For commercial use, should you find one for it, a donation would be good manners! Enjoy! Note: If you come across a glyph combination that you think would benefit from adding a ligature, post a comment or contact me through the PM system and I’ll add it to ‘to do list’ the next update.